◆ EYH Series Two Dimensions mixer mainly consists of three important parts such as rotating cylinder, swinging rack and frame. The rotating cylinder lies on the swinging rack, supported by four rolling wheels, and its axial fixation is done by two stop wheels, while the other two wheels are driven by rotating system to make the cylinder rotate. The swinging rack is driven by a set of crankshaft swinging bar which is mounted on the frame and the swinging rack is supported on the frame by the shaft combing device. 1. 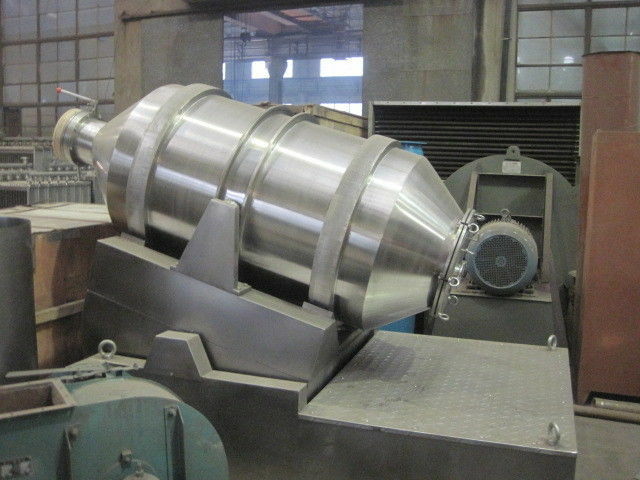 The rotating cylinder of EYH series Two Dimensions mixer can make two motions at the same time. One is the rotation of the cylinder and the other is swinging of the cylinder along the swinging rack Materials to be mixed will be rotated when the cylinder is rotating, and will be mixed from left to right and vice versa when the cylinder is swinging. 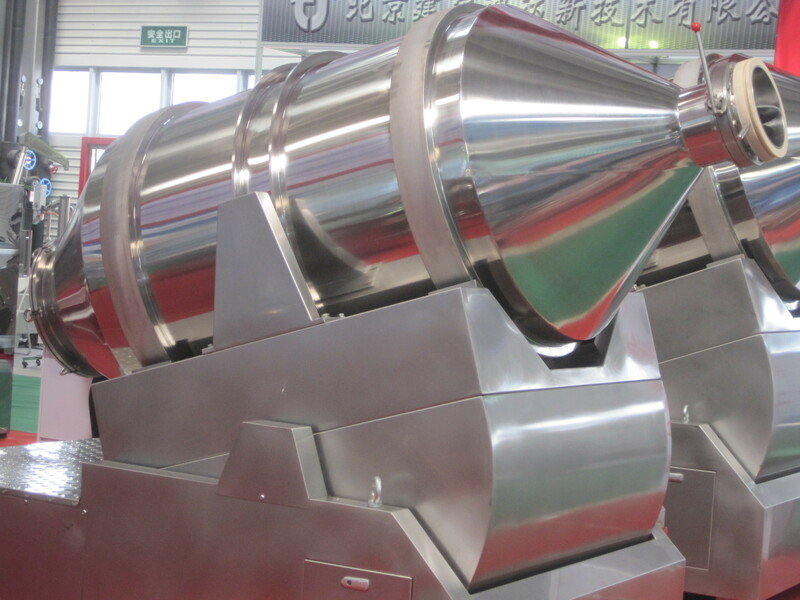 As the result of these two motions, materials can be mixed fully in a short time.The EYH Two Dimensions Mixer is suitable for mixing of all powder and granule materials. 2. Control system has more choices, such as push button, HMI+PLC and so on which are available . Remarks: If customer has any special requirements, please make a special order. This mixer are widely used in pharmaceutical, chemical, food, dye, feed, chemical fertilizer and pesticide industries and especially suitable for mixing various solid materials with large volume.